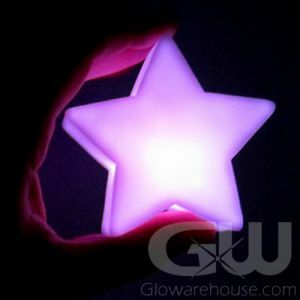 - LED Decorative Disk Light with Remote Control! 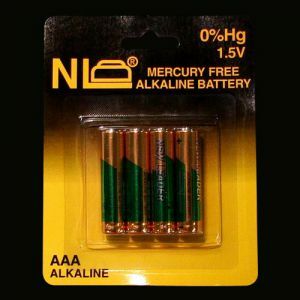 - Includes 10 Bright LED Lights and 15 Color Settings! - Water Proof! Totally Portable! 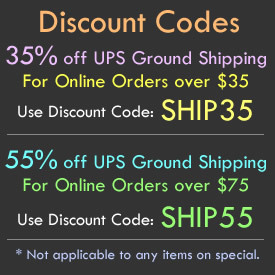 - Use as a Decor Light, Drink Coaster or Party Light! - Create Amazing Light Up Centerpieces! 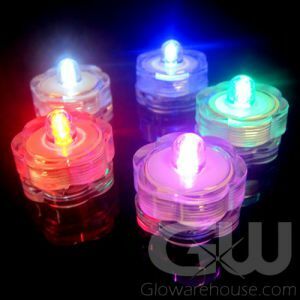 Take control of your party lighting with the amazing Decorative LED Puck Light with Remote Control! Create amazing glow in the dark centerpieces, you can light up vases, tables, ice buckets, and drinking glasses or use as a LED bottle glorifier. 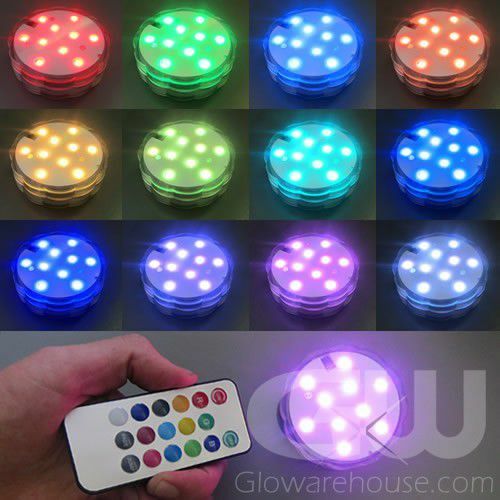 Each decorative LED disk light has 10 extremely bright LED lights that you can control with the included remote! 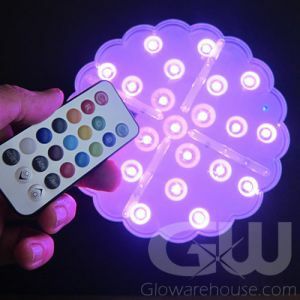 Choose from 13 different color options and 2 color changing rainbow light settings and you can make the Submersible LED Lighting Base brighter or dimmer as well. 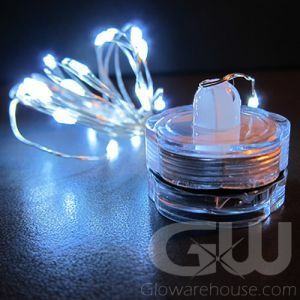 Use these fun Waterproof LED Lights for weddings, receptions, trade shows or any other type of event that requires a portable remote controlled light source that is so versatile it can be placed under or into almost anything! These super bright LED coasters even make great party lighting on their own! The range of the remote is about 8 to10 feet. Aim the remote control directly at the LED Decor Party Light.